"Why didn't any of us see the Grenfell action blog? Why didn't we know? Why didn't we have contact?" They are good questions and ones that all journalists and politicians should have been asking. For far too long people in social housing, the disabled, single parent families, and those hit by benefit cuts and sanctions have been ignored and even vilified by much of the media and political class. Now a new photo book edited by the filmmaker Paul Sng, Invisible Britain: Portraits of Hope and Resilience, tells the stories of people like these in their own words. 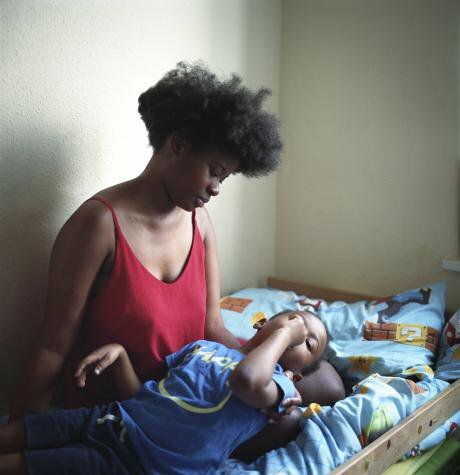 People such as Nadine Davis from Hackney, who was left living in emergency accommodation for over a year with her new-born baby. Image: Nadine Davis. Credit: Nicola Muirhead, all rights reserved. "As a single mother I was fortunate to stay in my borough when I was moved to emergency accommodation," she says. "Some people get moved out, so I was lucky in that respect. My accommodation wasn’t excellent. It was a hostel that I was grateful to have, but I was sharing a bathroom with strangers. I had just had a baby and sometimes you had people that were on drugs or people in relationships where there was domestic violence, which made the set-up difficult at times. Emergency accommodation is supposed to mean anything from a week to six months. But I ended up being there for over a year." As well as detailing the struggles that those affected by austerity and cuts to public services face, the book highlights how many of those featured are fighting back. 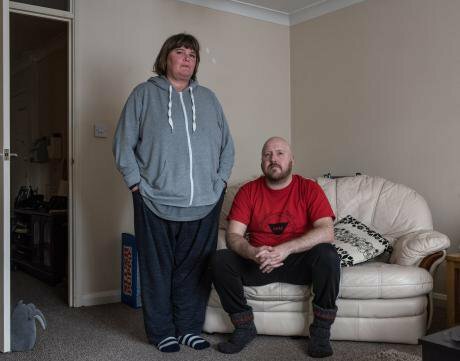 Paula Peters and Keith Walker, a couple who have both had health problems, have experienced the government's Work Capability Assessments. Keith describes the assessment as "harrowing". Paula now campaigns with the group Disabled People Against Cuts (DPAC) and says that being involved has kept her going when she otherwise would have given up. Image: Paula and Keith. Credit: Debbie Humphry, all rights reserved. "MPs demonise us and the media call us shirkers and work-shy," Paula says. "We're on the receiving end of abuse when we go out on the street. I’ve been called a scrounger, a fraudster. We’ve been spat at. On a bus I was threatened with being punched." Jay Ryan uses her story in the book to highlight the impact of cuts on domestic violence services. Jay, who lives in Monmouthshire, fled from an abusive relationship with her young daughter and has since rebuilt her life. She went to a performing arts college, learnt to drive and now works as a mentor to women who have experienced abuse. She says she has seen serious cutbacks to overall funding to services over the last ten years. Image: Jay Ryan. Credit: Joseph Murphy, all rights reserved. 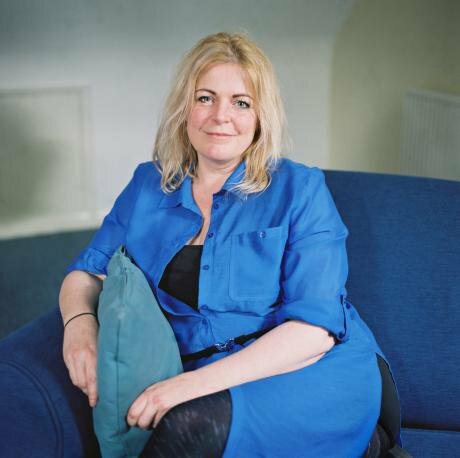 "The current period of austerity has not only resulted in a reduction in the number of refuges for women, but also impacted on legal aid entitlement and mental health service provision," she says. "Whilst rates of domestic violence are increasing in the region, there's no extra money to cope with the demands on our services. The lack of a holistic approach at national governmental level means we really are at breaking point." These may be individual stories – but together they form a damning indictment of the last ten years of austerity measures. Invisible Britain gives us an insight into the lives of the people most affected by government policy. The photographs are both beautiful and poignant but this book isn't a sad read. It is full of hope, fight and spirit. These are voices that deserve to be heard and stories that need to be told. 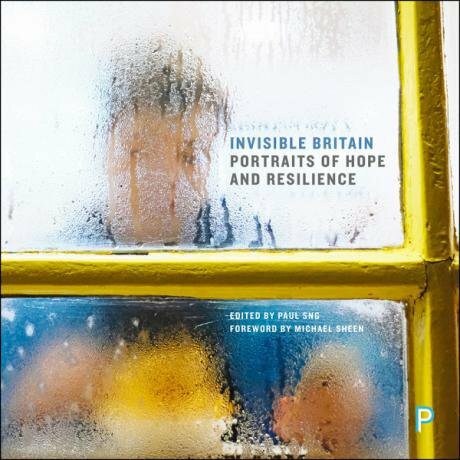 Invisible Britain: Portraits of Hope and Resilience is due out in November and can be pre-ordered at a discount from the publisher. Details of upcoming launch events can be found here.